Two and a half decades of speculating about the geographic location of the Simpsons’ hometown will come to rest sometime this summer, when Universal Orlando definitively proves that Springfield can in fact be found within an amusement park in Central Florida. 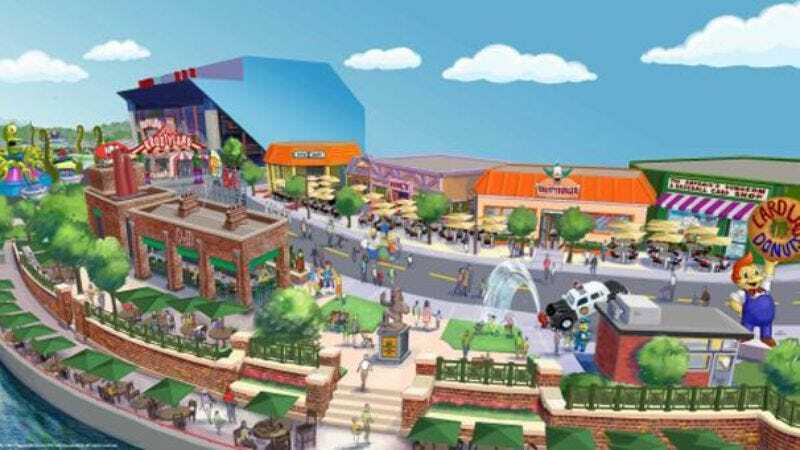 Or parts of Springfield, at least: New York Daily News reports that re-creations of Krusty Burger, Moe’s Tavern, Lard Lad Donuts, and other Springfield monuments will soon join the previously opened Simpsons Ride in an area of the park devoted to Fox’s long-running animated series. No word on whether or not Universal plans to one-up Walt Disney World’s Sword And The Stone attraction by giving young wannabe hellions the chance to behead the statue of Jebediah Springfield—maybe the prize for doing so could be one of those hard-to-find “BORT” license plates.